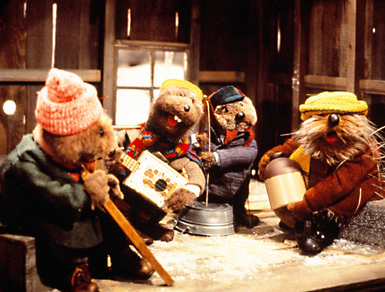 GREAT NEWS FOR EMMET OTTER FANS! 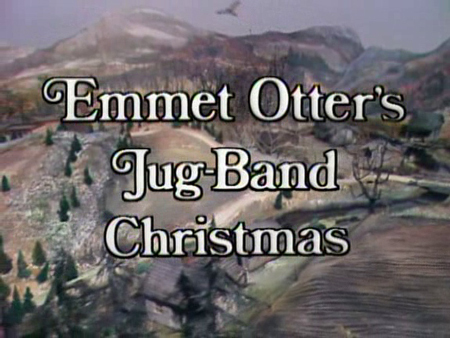 I have a BETA VHS version of Emmet Otter's Jug-Band Christmas recorded off of HBO from the mid-80's. Recently, I found the tape and got my BETA machine fixed. I transferred the tape to DVD in time for last Christmas. It was amazing, as an adult, to watch the version that I loved as a child. Read the article below to understand the different edited versions of the show. The HBO version I have opens with Kermit The Frog. 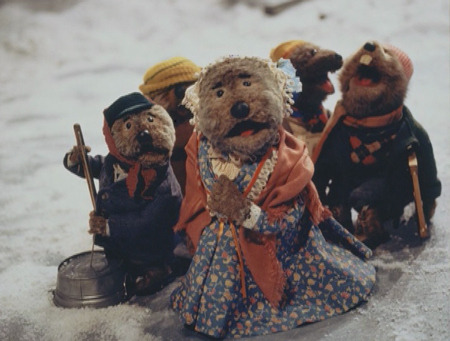 It has the scene when Ma Otter tells Gretchen Fox "I would really appreciate it if you'd...fall off the dock." It has all of the scenes listed below. Any version of the movie is great, but I think I have the closest unedited version available. 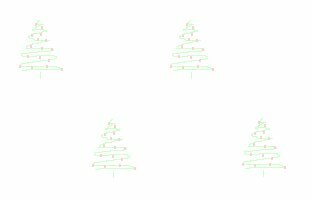 E-mail me through my HolidayPages4u website if you would like a copy. 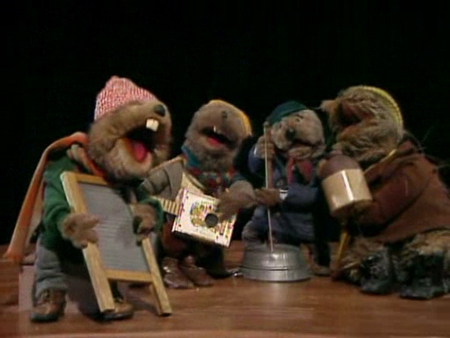 The first two video releases, from 1982 and 1996, both did not include the scene with a group of bunnies dancing at the talent show. Both of these video releases also had a shortened version of "There ain't no hole in the washtub". 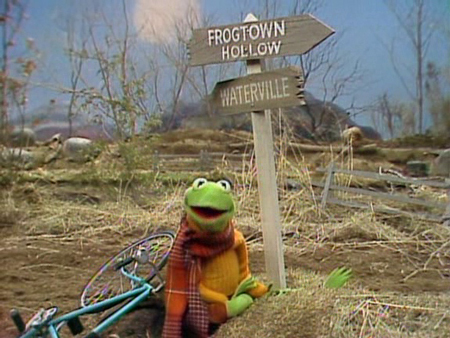 "One morning Frog Town Hollow awoke to discover winter had arrived. With ice on the river and snow on the fields, Emmet did his chores not knowing it would be a very special day". The narration ends right before Emmet appears out of his back door.